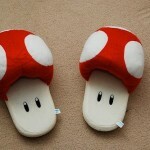 Its that time of year again where your feet will likely be cold for at least the next few months and the best way to remedy that problem is with a pair of slippers. I wear slippers all year around which is why I go through about a pair a year and these Tribble slippers reminded me that it is time for a new pair! 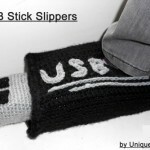 If you are a Star Trek fan and in need of a new pair of slippers, I have a feeling you will be buying a pair of these! 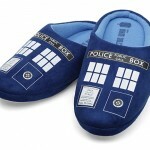 The awesome folks over at ThinkGeek are selling these Star Trek Tribble slippers that purr for just $24.99. 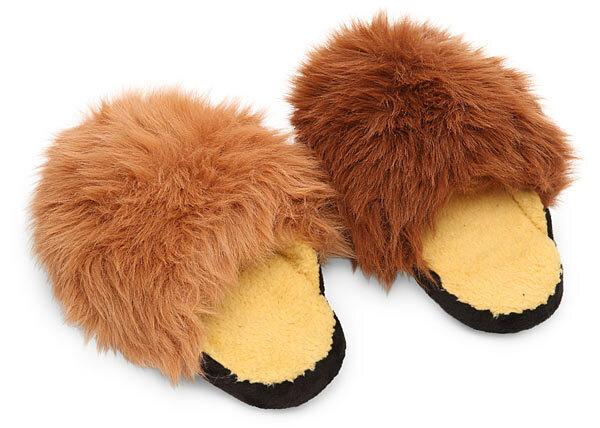 With every step you take, these Tribble slippers make the iconic Tribble purring sound and the batteries are included (which is a very good thing because I wouldn’t have a clue where to get 3 LR44 batteries). Keep in mind that even if you aren’t a Star Trek fan yourself, Christmas is just a few weeks away and these would make a fantastic Christmas present! 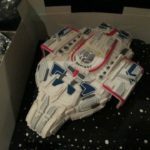 Share this along to any Star Trek fans you know! Like us on Facebook too!